Pt Mollie: Be bright. Be seen. My marathon training is getting more intense as I rapidly approach my peak week. That means I am running before and after work, often before the sun (and my husband) are up. 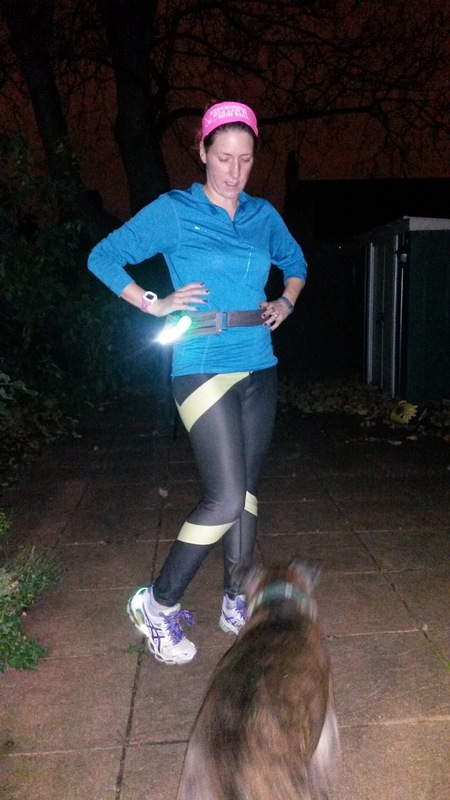 I am a firm believer in being visible when walking, running, or cycling in the dark (you can read my tips here on my blog or here on H2 Life Blog). 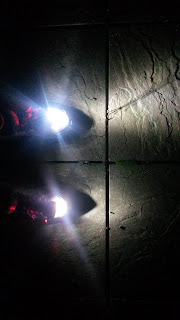 Here are a few example of lights I am trying out on my runs. 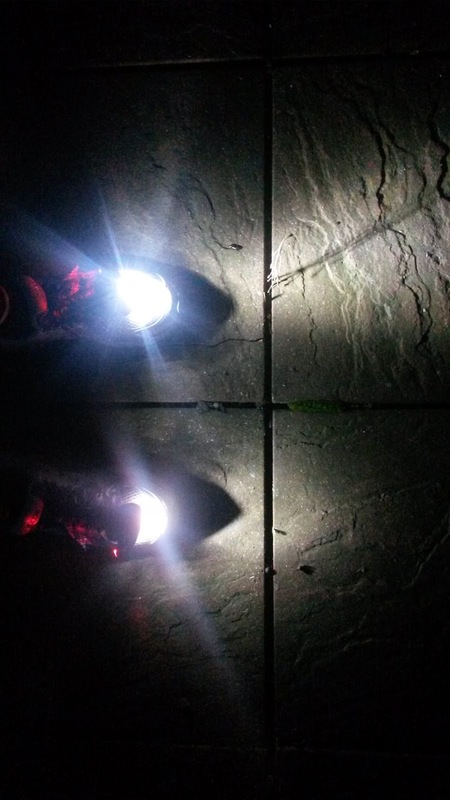 Nathan Light Spur- The little U shaped light has small 'spikes' to make sure it stays attached to your shoe. There are a few flash combinations and hasn't fallen off. There is a little bit of a squeeze on your heel but you get used to it. 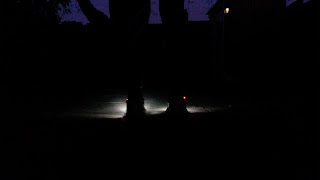 I combine it with a small red light light (Pulsar Strobe, also from Nathan Sports) for my laces to ensure visibility from both front and back You could also use these lights while cycling or walking. Million Mile- I found their Kickstarter campaign on Twitter and pledged my support. There are several different case and light colour combos, which I selected after the campaign was funded. I love that these 'run' on kinetic energy so no battery required. It lights up when you are running because of the shaking motion. 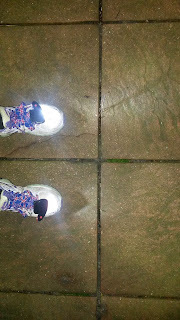 They are very light to run with- I didn't notice them at all (I had one on the side of my bum bag and the other on the front belt. I think you could use these lights for cycling if you attach them to your pannier bags to get the required shaking motion. 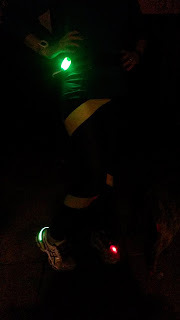 I also tried them on my dog's collar but they only lit up when he was running, not walking. Have a look at this video of me demonstrating how the lights work when moving. Night Runner 270- These were introduced to me by a fellow RODS Racing team member. Rather than wear a headlamp for night running, you simply clip these on your feet to light the path ahead of you. When I first tried them on my shoes, I thought they were too floppy. But I didn't notice them at all when running. They have a low and high mean setting and can flash too. I will definitely be bringing them with me to Spitfire Scramble in the summer! I am not sure if you can use while cycling as I think they will confuse drivers. A few people in the park commented on them on my evening dog walk tonight. 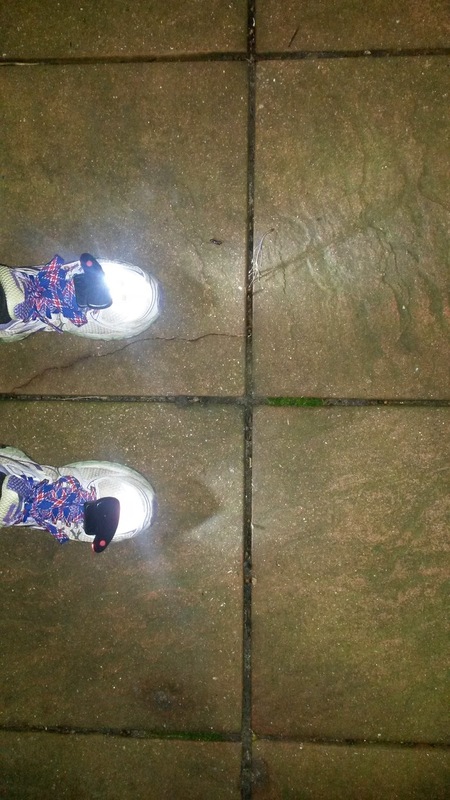 Night Runner 270 are also a company supported by a Kickstarter campaign. The power of the internet is amazing, isn't it? If you want some more ideas on what to wear in the winter for visibility and warm, check out Halfords cycling essentials guide to make sure you are properly kitted out for winter riding. Don't let cold weather and dark mornings keep you from being healthy! Halfords also are having an end of season sale on their cycling shoes if you are in need of a pair for spin class or outdoor cycling. Be sure you check what kind of clips are compatible with your bike before buying. Nathan Sports and Night Runner kindly gifted me their products. All opinions are honest and my own. Million Mile sent me lights based on my level of support for their Kickstarter campaign. The post was sponsored by Halford's. I really need these as it os SO SO SO DARK in the mornings when I take the dog out to walk. Im always terrified a car (or a DEER!) will smack into me. I totally agree, Carla! I wear a high-vis vest on dog walks this time of year and have LED collar for my pup.